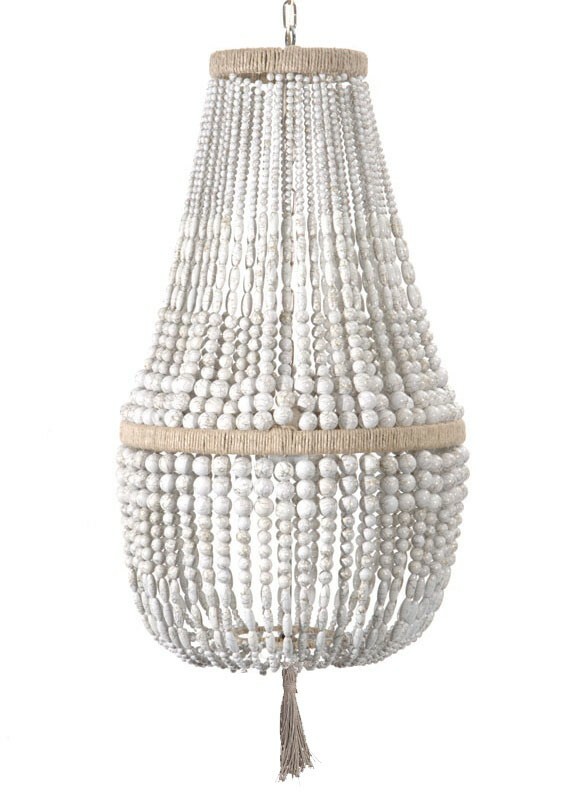 The Malibu Up Chandelier delivers an elegant and classic aesthetic to any decor. 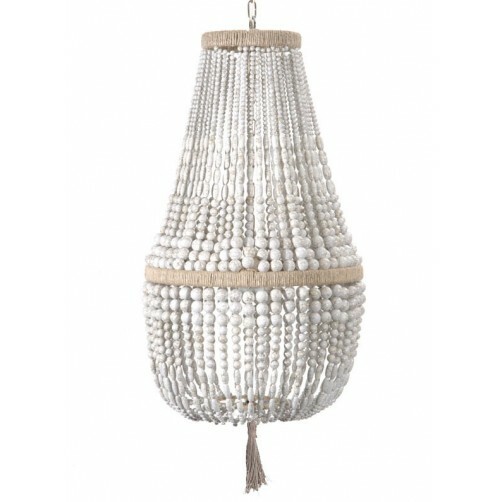 Featuring a hemp-wrapped round frame, beautiful cascading arrangement of beads in a solid drop curved shape for visual interest. Your choice of beads and finish. Ro Sham Beaux takes a fresh approach to lighting design with an eye towards the future and a reverence of the past. We pride ourselves in uncompromising craftsmanship and impeccable service, utilizing sustainable materials whenever possible. Each piece is handmade especially for you! 3 feet of chain and canopy included. Ships out within 4-6 weeks, direct from Ro Sham Beaux to you. Shipping time: Add up to 1-2 weeks for delivery, depending on the ship-to location. We will contact you with freight shipping details when your order is ready for delivery.